We're well into deals season, and we've seen plenty of good ones, but this one's up there with the best: Sony's XB950N1 Bluetooth headphones are more than half off today for Amazon's Gold Box daily deals. Normally $249.99, you can grab a pair for just $113 right now. The XB950N1 (what a catchy name) aren't Sony's flagship Bluetooth cans, but they've got a lot going for them. 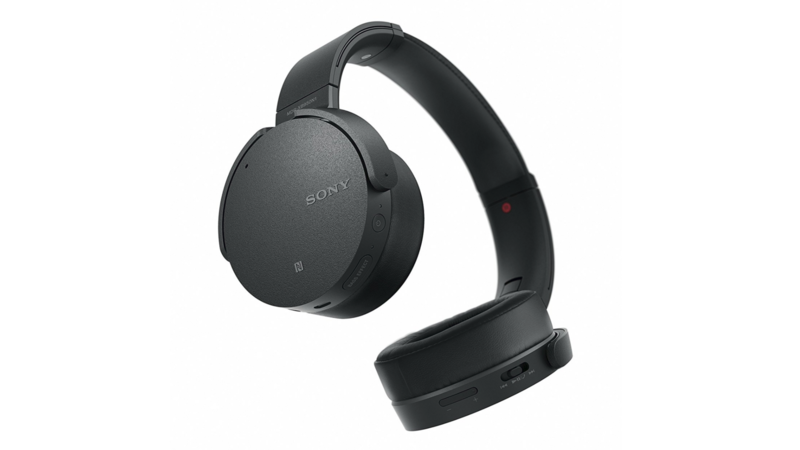 They're noise canceling, they work wired or wirelessly, and they have NFC for pairing. The battery is rated for a significant 22 hours of playback time. They do charge with MicroUSB, though; an annoyance still all to common in audio accessories. If these tickle your fancy, you'd better get moving. The deal is only good until midnight tonight, Pacific time. 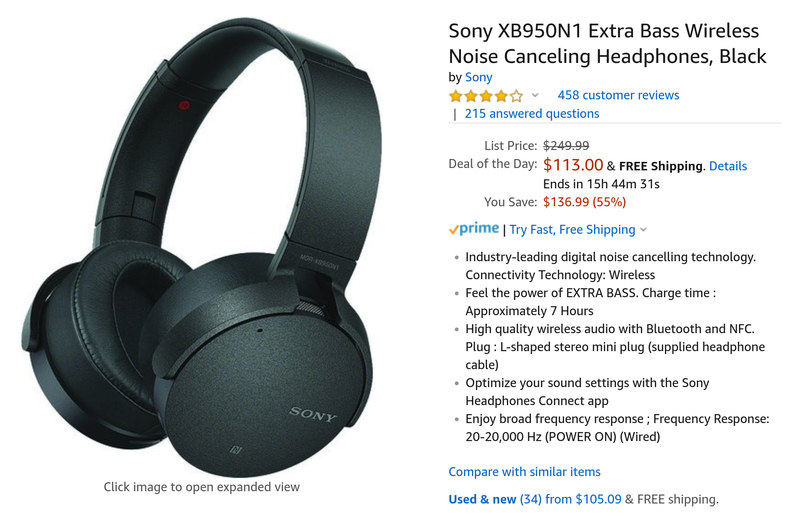 A previous version of this story stated the Sony XB950N1 charge with USB Type-C. They don't; it's MicroUSB. Sorry for the misinformation, and thanks to commenter DanSan for pointing out the error.